Today’s deals roundup consists of two cameras, a couple of smart speakers as well as two of Samsung’s newest smartphones. Another day, another roundup of the top tech deals on Amazon, Flipkart and Paytm Mall. This time around, we’ve got cameras, smart speakers, a couple of Samsung’s newest smartphones. So let’s get down to it shall we. The Lenovo HS10 Smart Scale is something that should interest any fitness enthusiast or weight watcher. Besides telling you your weight, the scale links to your smartphones and also gives you metrics such as muscle mass, body water percentage, and more. You can check out the device here. The Amazon Echo Dot is the most affordable of the company’s range of smart speakers. The speaker comes with the company’s digital assistant, Alexa. The speaker is able to answer questions, play music and more. You can check out the device here. The Canon EOS 200D DSLR kit comes with a single EF-S18-55 IS STM lens. The 24.2MP camera comes with an APS-C sensor. The whole kit also comes with a 16GB card and a camera bag as well. The Canon EOS 750D sports a 24.2MP sensors and this kit also comes with a 18-55mm lens. Besides the camera and the lens, you also get a 16GB card as well as a camera bag. 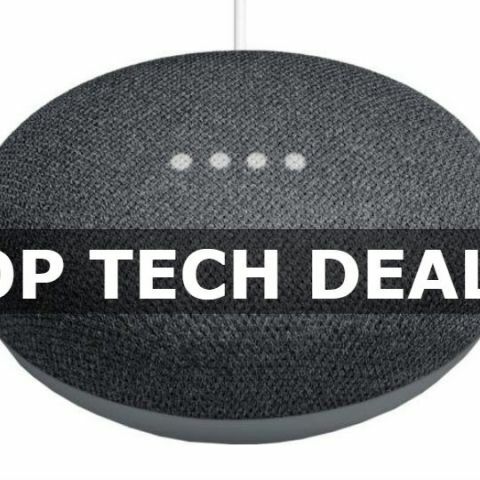 If Amazon’s take on an affordable speaker is not to your liking, then you might want to take a look at the Google Home Mini. The device comes with Google Assistant, and can answer queries and play music. The new Samsung Galaxy J6 is one of the cheapest of the four new smartphones that the company unveiled a few days back. The device offers an Infinity Display design with an in-display home button. The Samsung Galaxy A6 is pretty similar to the Galaxy J6. However, it better cameras in the form of 16MP units on the front and the back of the device.